In 1998, in Southern California, the successful operation of the company Steelcraft Inc., which deals with the after-sales service of cars and the production of SUVs and trucks. Steelcraft made a wave of changes and a revolution in the automotive aftermarket industry, which is what he is doing to this day. The company was created to be the first, so the company develops and produces unique world-class accessories, providing customers with luxury, functionality, and safety at a completely new level. The Leathercraft brand is the offspring of the automotive aftermarket giant Steelcraft. Their lineup includes a grill bar, police bumper, bull bar, winches, sidebars, bed rails and floor coverings in addition to their Seatskinz brand. 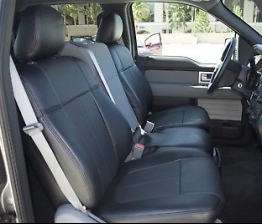 If you have a car regardless of this SUV, jeep or truck, sooner or later you will encounter the problem of worn seat chairs. Not all motorists can afford to change them every month, here's where the seat covers come to the rescue. However, cases also have the property of wearing out. For sure, every car enthusiast would like to enjoy a leather case in his car. That's why the brand Leathercraft was created, which not only enriches the interior of the car, increases comfort but also copes well with the protective function. The competitive advantage of the company is that they very quickly introduce innovations and develop unique accessories earlier than their competitors for 90-180 days than other manufacturers. Leathercraft Seat Skin Cases have a unique projection to match different models of cars. 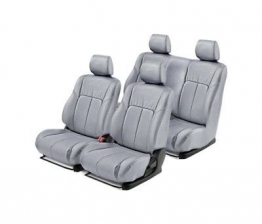 The design is equipped with an individual fit so that it can be suitable for the entire seat, armrest, and headrest. Also, manufacturers have implemented a foam memory cover, which provides comfort and really luxurious sensations. Covers are available in 4 shiny coatings (gray, light gray, black and brown). Such seat protectors will complement the car interior with luxury, style, and comfort. The advantage is that the Seatskins installation takes only a few hours, without requiring special tools. They are designed in this way, that after their installation it will be difficult to notice that they are not factory ones. 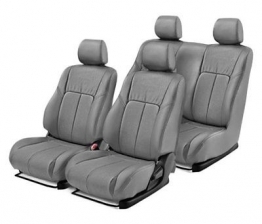 Importantly, when installing these covers, they will not interfere with seat belts or airbags since they are designed specifically for the car, model and year of production. They have Velcro that does not interfere with the performance and effectiveness of airbags. In addition to its aesthetic function, the covers add significant protection to the car, off-road vehicle or truck. Covers are resistant to moisture and prevent staining. The mission of the company is the value of their customers. The company believes that it is the clientele that determines the success of the company's activity and is the highest priority. Thanks to advanced innovations and technically advanced equipment, customers receive quality and sophistication. Indeed, specialists and engineers of the company spend a lot of time working on each custom product to make it perfect for the end user. The key aspect of production is the quality and its characteristics of fit for different cars.